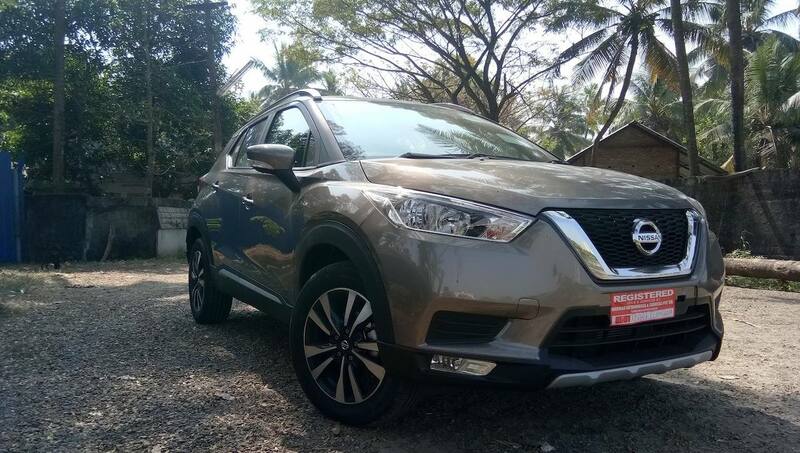 The Nissan Kicks has started reaching dealerships in India ahead of its launch on the 22nd of this month. Here are a few images posted by EVM Nissan Nettoor dealership in Kochi. Nissan has started taking pre-orders for the Kicks for an amount of INR 25,000. Since the Terrano in August 2013, Nissan India hasn’t launched a high-volume model, and it has become a less preferred brand as a result. The Kicks, experts say, is a make or break for the Japanese automaker in the country. The company has re-engineered the SUV specially for our market. The Indian-spec Nissan Kicks is bigger than the global version, and it looks noticeably more aggressive because of that and the market-specific design tweaks. The sub-compact SUV is 4,384 mm long, 1,813 mm wide and 1,649-1,656 mm tall (with roof rails). Its wheelbase spans a length of 2,673 mm. Underpinning this SUV is the Nissan Terrano’s B0/Logan platform. On the outside, the Nissan Kicks features LED projector headlamps, 17-inch machined alloy wheels, contrasting roof and shark-fin antenna. Inside, the premium B-SUV has a dual-tone brown and black theme with a faux carbon-fibre finish. Leather-wrapped soft-touch dashboard and door trims and leather seat upholstery further uplift the rich look inside the cabin. In a segment-first, automatic climate control is standard. Other highlights include 8-inch touchscreen infotainment system with Android Auto and Apple CarPlay, Around View Monitor 360⁰ camera, Vehicle Dynamic Control, Traction Control and four airbags. Nissan offers the Kicks with two engine options: 1.5L H4K petrol and 1.5L K9K dCi diesel. The petrol engine produces 106 PS and 142 Nm of torque, and it is coupled to a 5-speed manual transmission. The diesel engine develops 110 PS and 240 Nm of torque, and it is paired with a 6-speed manual transmission. 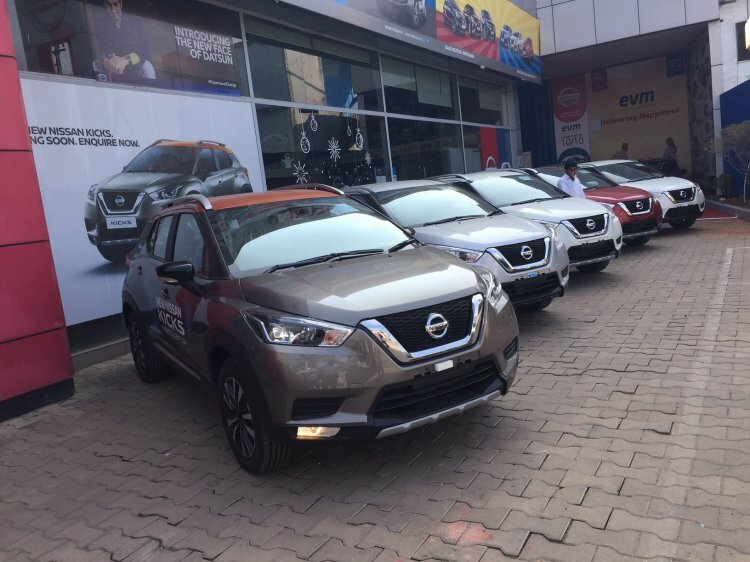 The Nissan Kicks competes with the Hyundai Creta, Maruti S-Cross and Renault Duster in India. The Nissan Kicks competes with the Hyundai Creta, Maruti S-Cross and Renault Captur in India. Its prices are expected to range from INR 9.5-12.5 lakh (ex-showroom).